Since the sewer line in your home or office is used on an almost daily basis, wear and tear are bound to occur after some time. The sewer pipes will become weak and unable to function at optimum capacity. In some cases, the sewer piping materials might get corroded or become rust. Sooner or later, the sewer pipes will start leaking. The pipes will stop to serve your home or office optimally. Sewage spill occurs, creating a huge mess all over your surroundings. Even after deciding to carry out necessary repairs, you are faced with the problems of trench digging and expensive labor costs. The entire process is also time-consuming. However, all these can be easily bypassed by lining the sewer pipes. Sewer pipe lining refers to the process of lining the interior portion of damaged, leaking, or corroded sewer pipes using pipe liners. 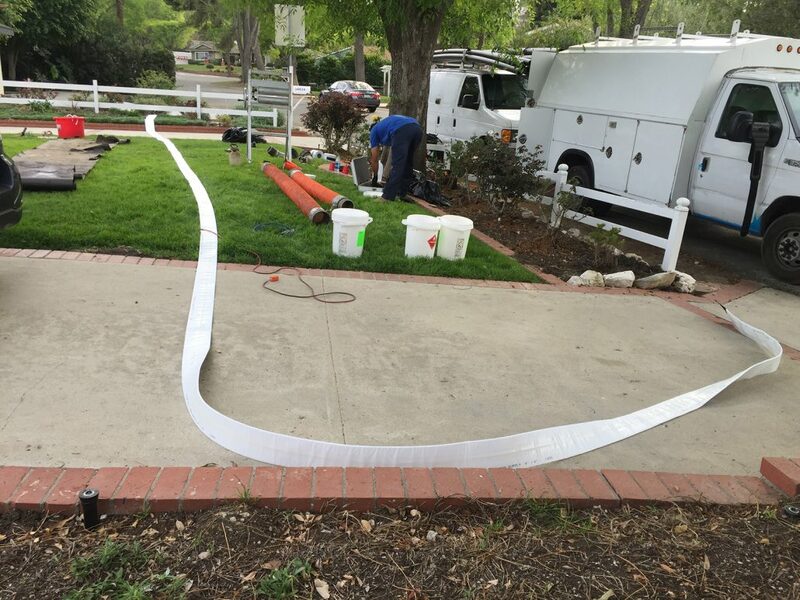 The sewer lining process is an advanced technique that helps in restoring sewer pipes and the plumbing system back to its best performance by re-lining the internal walls of the existing sewer pipes with polyethylene pipe lining materials, thus creating a trenchless, time and cost saving method of repairing damaged sewer lines. The sewer pipe lining technique is designed to offer a very effective and hassle-free means to repair damaged sewer pipes in residential and commercial buildings. Unlike traditional sewer pipe repair methods, there is no need to dig trenches or remove damaged pipes. Since sewer pipe lining is non-invasive, homeowners can save on the cost of labor, cost of purchasing replacement pipes, and amount of time taken to carry out necessary repairs. In addition, the high-quality polyethylene piping materials used in sewer pipe lining will help improve the flow capacity of the sewer line. They do not corrode or rust. Because of this, sewer pipe lining offers property owners a quicker, highly affordable, and more efficient way of repairing damaged or broken sewer pipes.